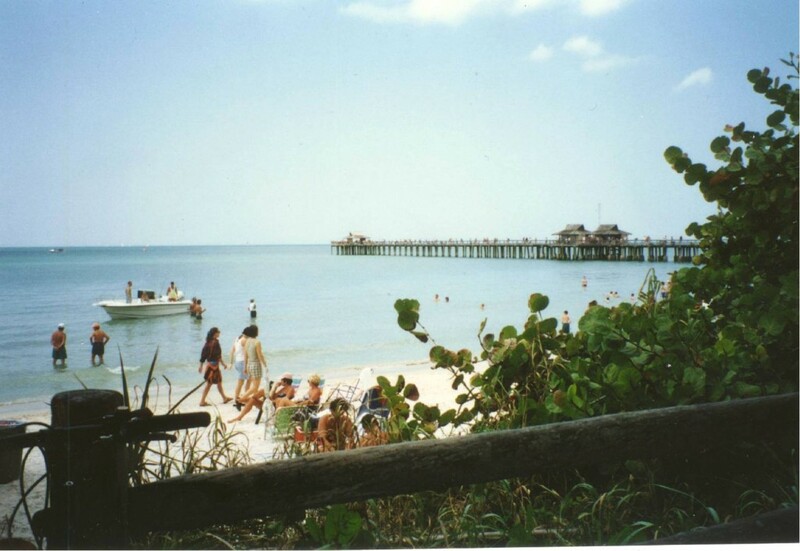 Naples Pier, on the Gulf of Mexico. 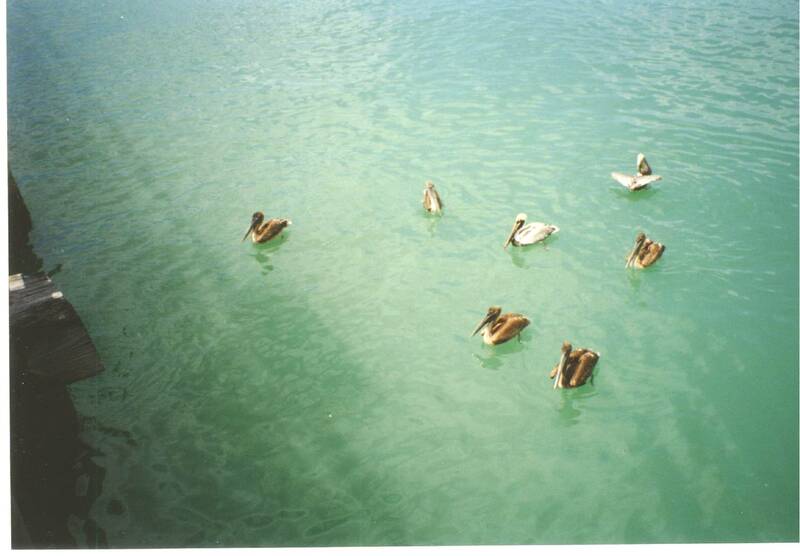 Pelicans at the Naples Pier. 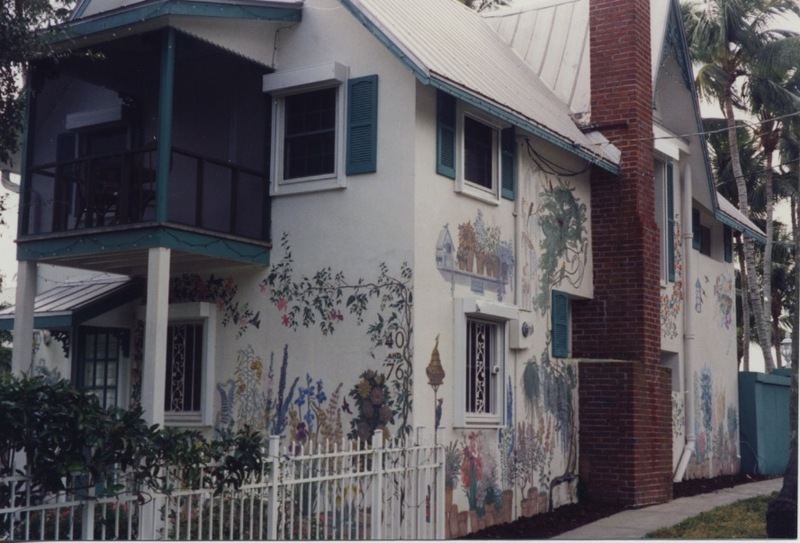 I left Southern California in October 1994 to spend a working winter vacation in Naples, Fla., where my mother owned a villa. I stayed seven years. 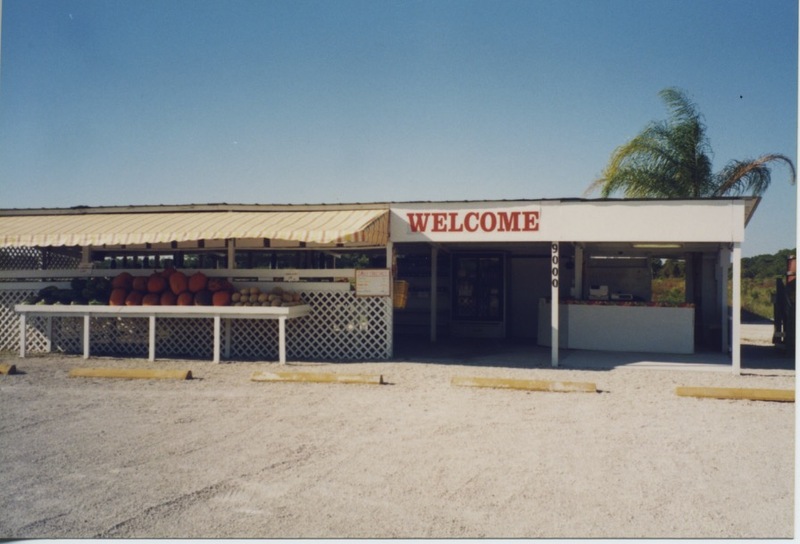 This is the farm stand where I worked in Naples. 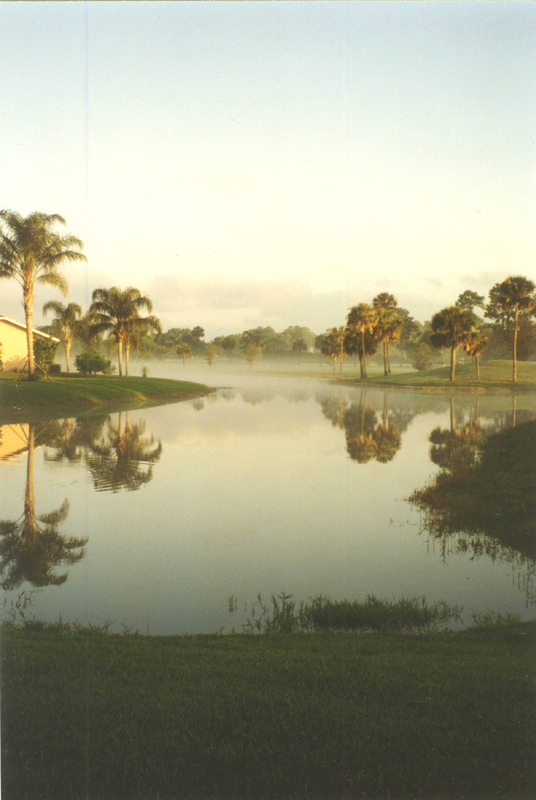 The farm is no longer there; the land has been developed, a place called Treviso Bay. I wonder if you can still hear the zzz-ing of the cicadas in the adjacent woods. 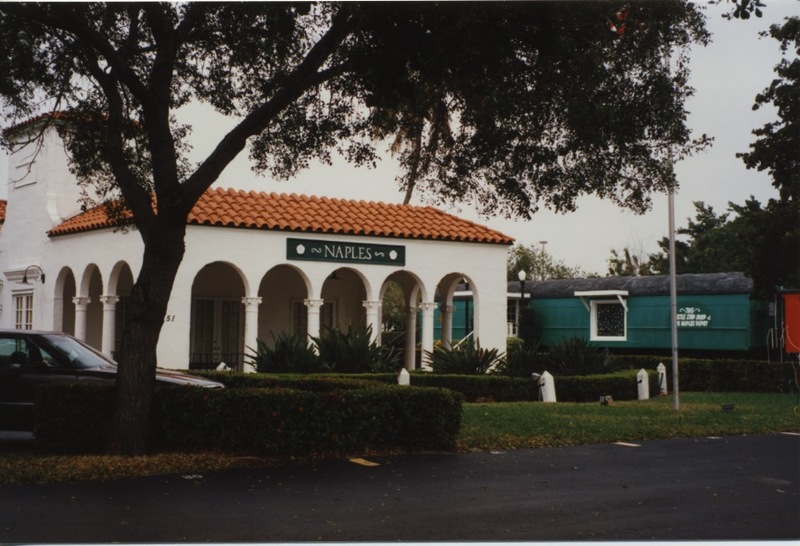 Founded in the late 1880s as a fishing village and vacation winter resort serving mostly the elite from Kentucky and Ohio, Naples, on the Gulf of Mexico, way down almost on the southwest tip of Florida, began to grow as a city in the 1920s when the railroad came taking fish to market and bringing in tourists. Barron Collier, a New York millionaire, arrived in 1923 and bought up the land. 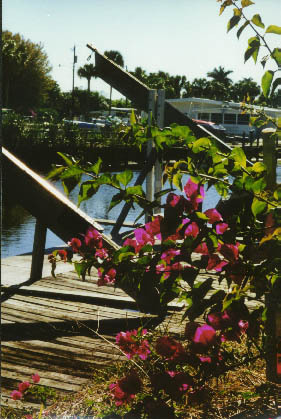 He bought the Rod & Gun Club in nearby Everglades City, too. There he hosted foreign dignitaries and U.S. presidents. Ernest Hemingway came. The newly arrived traveled a lot between Tampa and Miami and they soon realized they needed more than a couple of sand ruts upon which to drive. 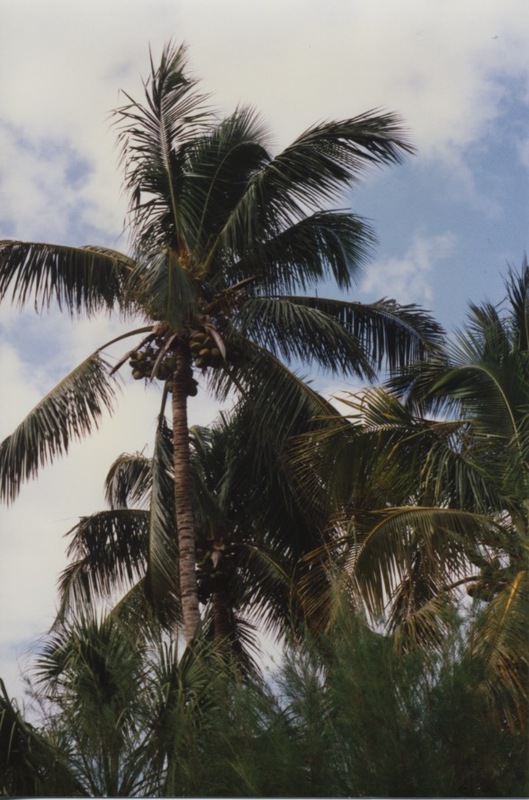 So, federal funds in tow, they set up their supply depot at Everglades City and, beating their way through the jungle with machetes, shovels and fly swatters, set to work building a road connecting the two cities. When the federal government ran into a financial snag, Collier offered to finish the road in return for the new county being named after him. 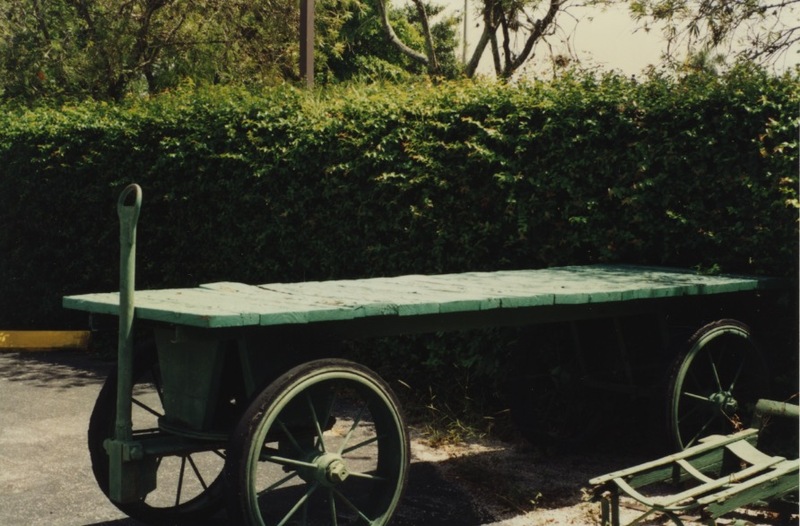 He made Everglades City the Collier County seat. The new road, the Tamiami Trail, now U.S. Route 41, opened to great fanfare in 1928. 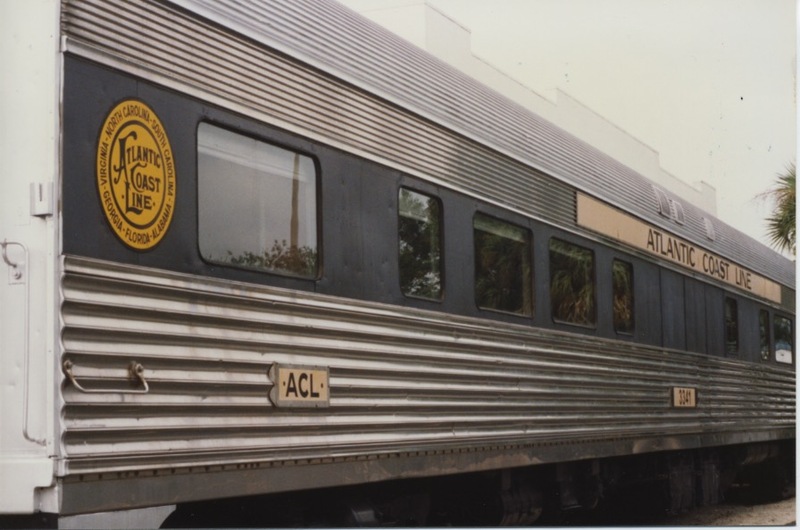 This is the train that brought them to Southwest Florida. 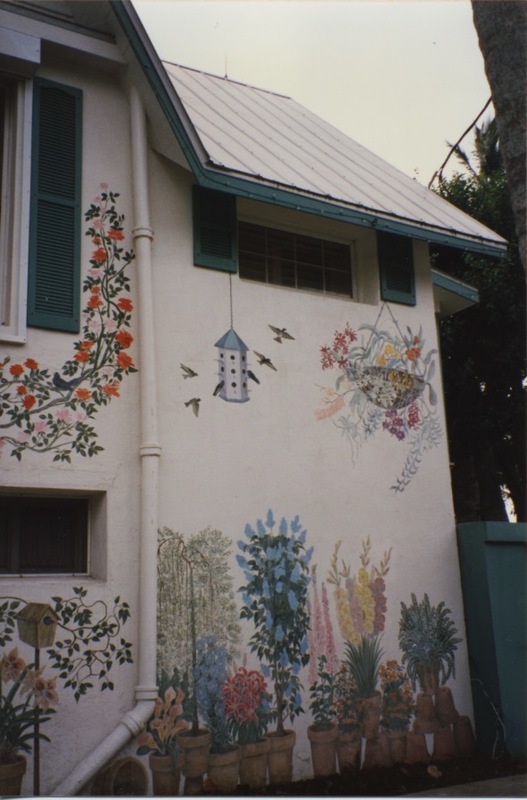 The Flower House: A historic home on the beach in Naples, painted with flowers. 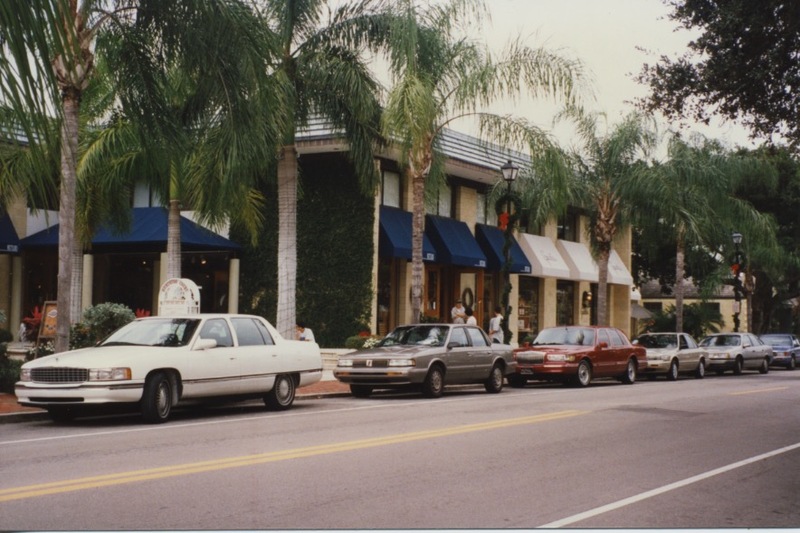 Fifth Avenue South, the heart of upscale Naples. 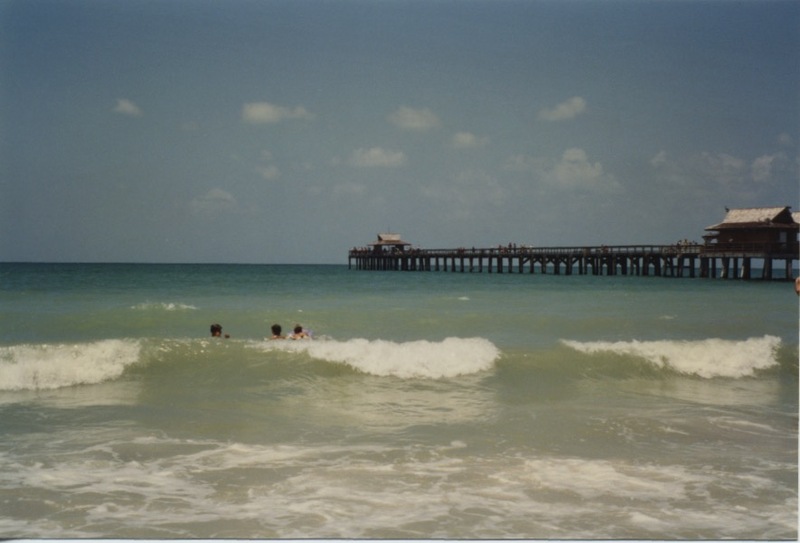 Below, Naples Pier and the Gulf of Mexico. 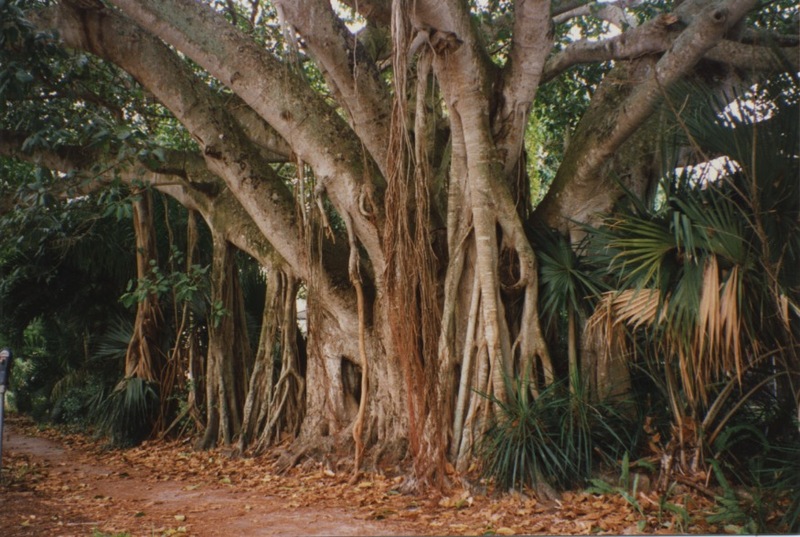 A banyon tree near the beach in Naples. I visited Big Cypress mainly to see the black and white photography of Clyde Butcher and his Big Cypress Gallery and studio where he explained how he develops his black and white photographs. 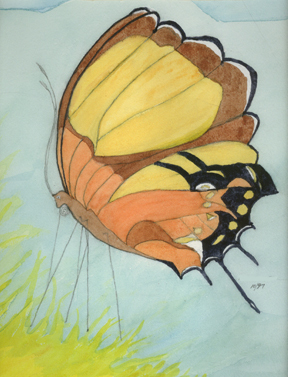 Big Cypress was set aside in 1974 to protect the flora and fauna and recreation in this region and particularly the importance of the Big Cypress watershed to Everglades National Park. 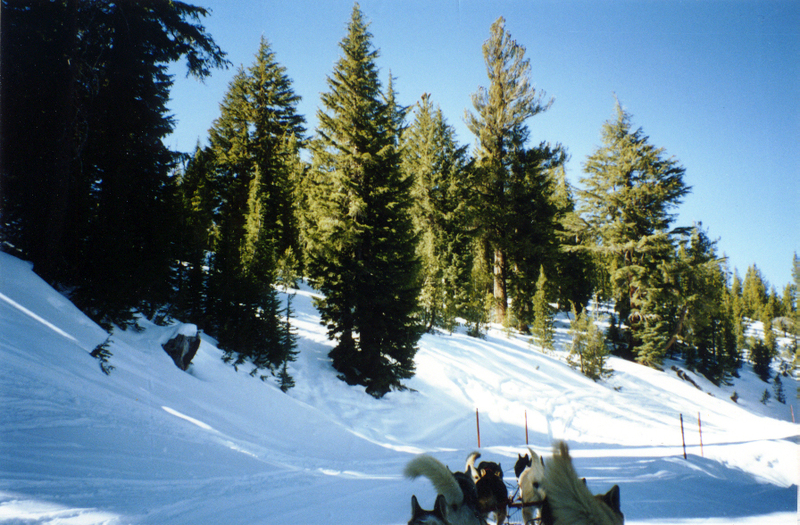 The park was established in 1934 and dedicated in 1947. 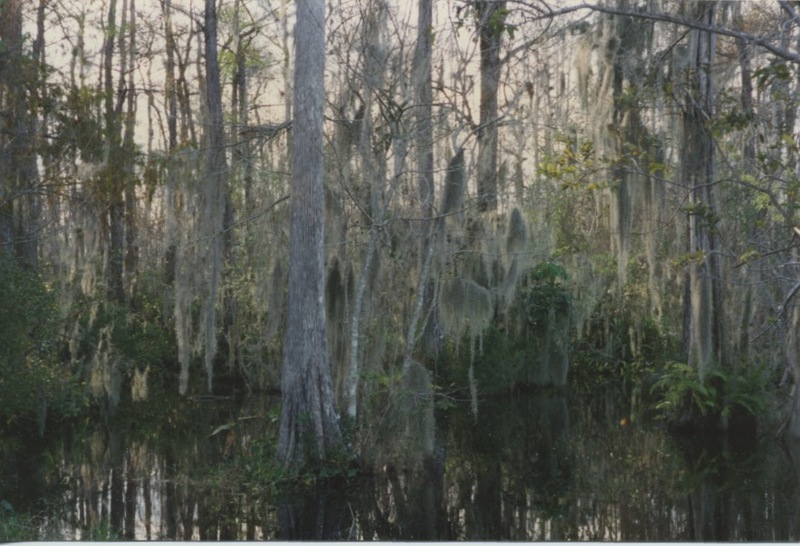 Big Cypress refers to the vast cypress strands spanning this area. 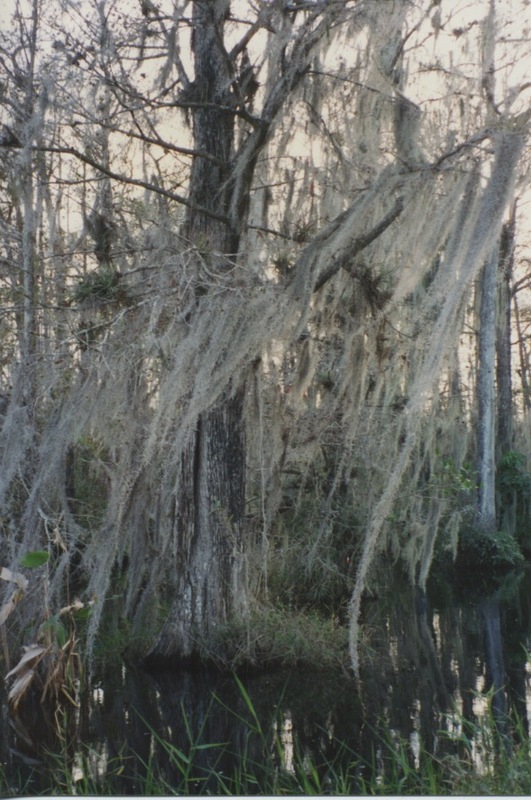 Pictured above, Spanish moss in Big Cypress National Preserve of the Everglades at Ochopee, Fla. Big Cypress is located on U.S. Route 41, the Tamiami Trail, about midway along the 125 mile route between Miami (on the Atlantic coast) and Naples. My next-door neighbor here had basically one item in his wardrobe. Eponymously, I called him (not to his face) Loincloth. 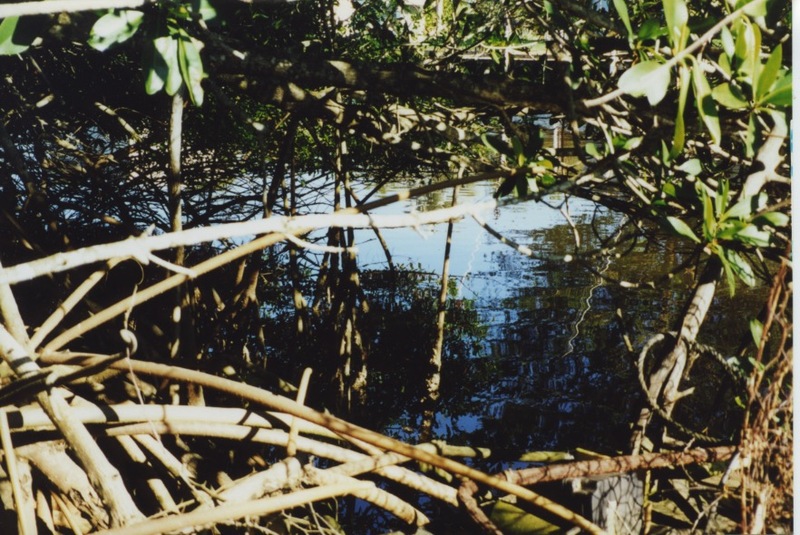 Roots of the mangrove trees next to the dock. The view above is from the screened lanai of my mother’s villa.